A website that is truly bringing in the clients! 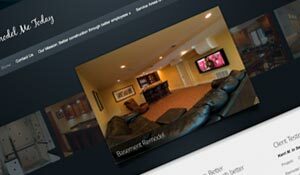 Remodel Me Today, a westside (Cleveland) remodeling and construction company, wanted to be at the top of Google rankings for area construction/remodeling work. We succeeded with that and they are reaping clients from their web presence. The site features an attractive portfolio feature which enables RMT to showcase their work on the home page. As with all EdCom sites, it has an easy-to-use CMS (Content Management System) that allows end users to easily add to their own sites. We examined the competition’s Google rankings and came up with a strategy to build a better SEO presence – which was achieved within two months. This is a perfect example of truly partnering with my client to get results. Owner Brian Pauley has committed himself to stay up with posting new, relevant information weekly that in turn, continues to keep his SEO ranking number one in his criteria. The percentage of leads coming from his website continues to grow. 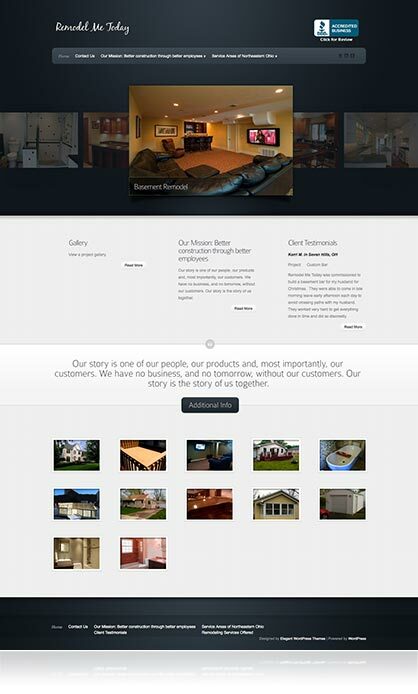 “Barry was a great asset in designing and implementing our updated corporate look and website.